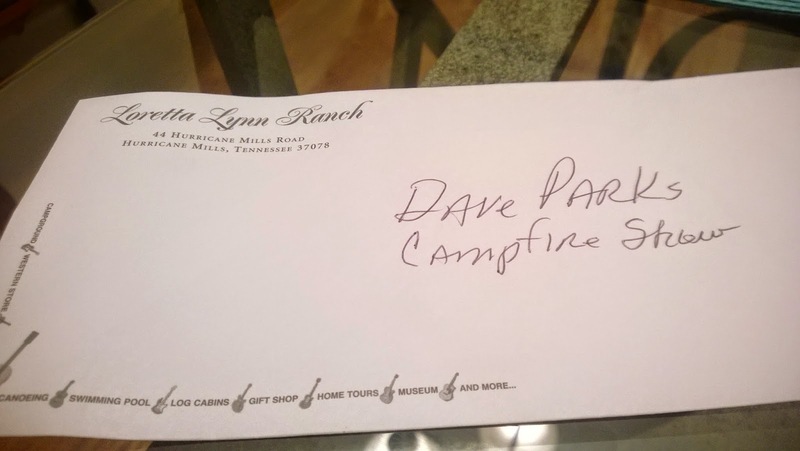 OK so I forgot to take pictures so here is my only proof that I played at Loretta Lynn's Ranch on Friday for the campers. It is such a great gig! The wind howled the whole time and only half the crowd left. NO! I'm kidding. Everybody stayed, even my new friends from Oskaloosa KS! Thanks Gary and fam for hangin' out. We will have us party in NE Kansas soon! Since the release of my record "Song From Yesterday" I have been very please with my online retailer Bandcamp. bandcamp.com is a great way to discover new music as well. Very cool web site and a great way to get merchandise to my fans. I am looking to add t-shirts and hats soon. I'll be sharing other places my music is online in the coming days! Nominate Honky Tonk Dave for the Ameripolitan Music Awards here! Found this video a couple nights ago. Again a great live band playing great country music. This video was from about a year ago. He has since released another album called Metamodern Sounds In Country Music. Great original record. It's not for everyone but I would recommend it!